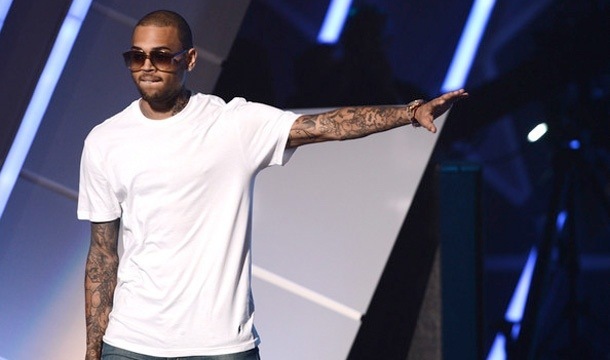 When Chris Brown received the Best Male R&B Artist at Sunday’s 2012 BET Awards, he dropped a huge bomb on his fans when he announced that “Fortune” will be his “last album”. “I’d like to thank Team Breezy, everybody who worked on any one of my albums,” Chris said. “My last album that’s coming out in two days. I just want to thank all my fans. It’s dedicated to y’all. This one’s for y’all, man, I appreciate everything.” He said as he blew a kiss to the fans. Chris’ new album “Fortune” is coming out on Tuesday. We’re not sure why Chris is hinting at early retirement, but perhaps it has something to do with his controversial image in the media? As we previously reported, Chris was recently involved in a NYC bar fight with Drake, and he released a rap over Chief Keef’s “I Don’t Like” beat, where he took open shots at Drake. Right now, all of Chris’ fans on twitter are freaking out over the news. Everyone is still trying to get a grasp on what the singer could have possibly meant. However, let’s not forget that Jay-Z pulled a few years ago when he said 2003’s “Black Album” would be his last one only to come out of retirement three years later! Do you think Chris’ retirement announcement is for real or publicity to sell more albums? More importantly, what will he do after retiring from music? Acting? UPDATE: Chris’ reps confirmed to our friends over at the PopStop TV News team that he referred to his project as his last album because he has been working on “Fortune” for quite a while. No plans of quitting album just yet! The “Turn Up the Music” star simply meant to say – “my latest album”. You can’t scare us like that Breezy! We thought we were going to have to wait for Mindless Behavior to come of age! This entry was posted in Celebs and tagged 2012, Announcement, BET Awards, Chris Brown, Retiring. Bookmark the permalink.